A bold initiative by a group of activists, scientists and urban planners set an example of a new and effective type of cycling advocacy. If it is true that “Our struggle for global sustainability will be won or lost in cities”, as UN Secretary General Ban KI-Moon declared in 2012, the city of Berlin can be regarded as an inspiring exhibit of how expertise from experts in administration and science and citizens’ active participation are able to team up in facing the urgent challenge of sustainable mobility. 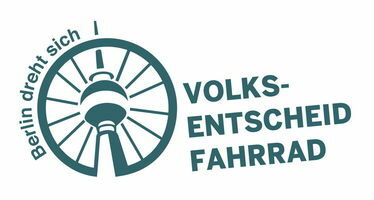 The initiative Volksentscheid Fahrrad (Bicycle Referendum) represents an example of how regular citizens can take responsibility and respond to the inactivity of the city administration by offering concrete best practices alternatives in regard to cycling infrastructure. In November 2015, 30 people participated in a workshop meant to find the 10 most important objectives to improve cycling conditions in Berlin. Since they presented their project to the media in December of last year, the issue was at the center of the public debate, and it will likely be one of the hot topics of the agenda of the Berlin state election of this September. 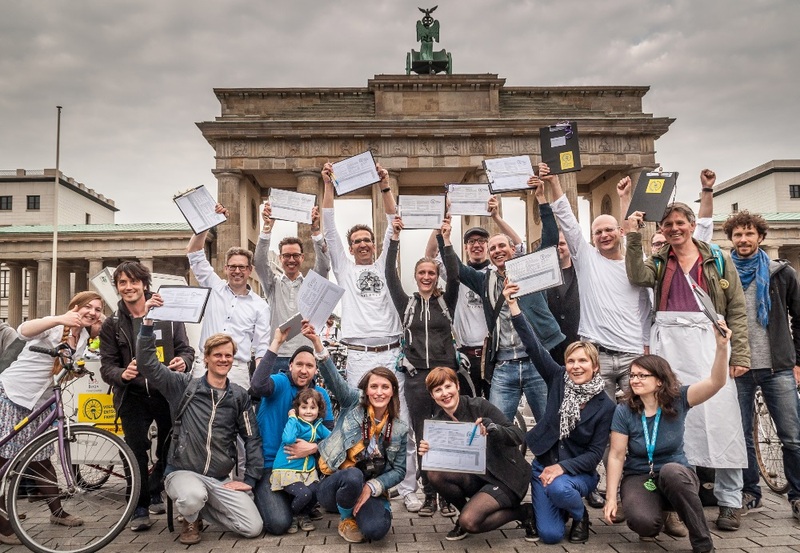 Starting from January 2016, a team of 30 lawyers and cycling experts collaborated to draft the points of what is now the first Berlin’s and Germany’s project of a cycling strategy bill. In the following months, the initiative has been gaining broad support and it is now backed up by several environment and transport associations, such as Greenpeace and Pro Bahn, and by the Berlin section of the German national cycling NGO and ECF members, ADFC. Berlin’s mayor Micheal Müller and his administration has been pointed out for not implementing the ambitious municipal strategy on sustainable mobility, since the annual budget for cycling infrastructure has not been invested throughout the years; instead, the administration diverted its focus on the construction of the motor highway 100 in the southeast part of the city. Recently, a group of more than 60 scientists signed a call for action addressed to the mayor, inviting him to take a serious commitment in the implementation of the bill; the promoting campaign has labelled the stall of the petition by the administration as “a missed opportunity to set a new course for long-term goals”, while Berlin fails to meet its CO2 emissions target. In this context, the recent statement by the spokesperson of the Urban Development Administration of the city announcing the support to the proposal of the environmental association BUND to raise the annual budget from €15 to 40 million a year, has been defined by the pro-referendum campaign as a politically opportunistic maneuver in sight of the state election in the fall. 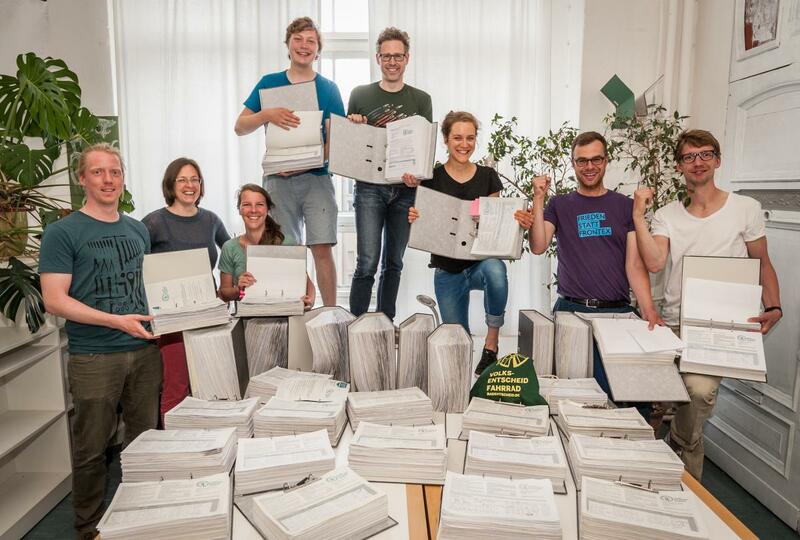 The initiative has already reached its first goal: on June 14th, the outstanding number of 105,425 signatures supporting the bicycle referendum, collected in less than one month, was presented to Berlin’s Parliament, largely exceeding the 20.000 needed to have the Senate examine the admissibility of the request for a referendum. Once the validity is checked, the campaign will have four months to gather 175.000 signatures, in order to have the Senate either adopt the bill or draft a counter-proposal. In the case the assembly did not approve the bill, the third and last stage will be the Berlin statewide referendum, likely to be matched with the German federal election of September 2017. The referendum will need to have a quorum of ¼ of Berlin’s electorate. Here is the link to their demands. Cycle streets which are safe for everyone, including children and seniors 350 km of new cycle streets shall be created by 2025, each one at least 5 meters wide with priority for cycling. Safe cycling infrastructure on every main road Every main road shall have a cycle lane or cycleway, at least 2 meters wide and at a safe distance from parked cars. Safer and more comfortable cycling – as chosen by the people An online discussion identified places where the cycleways need repair, due to tree roots, potholes or other damage. These hotspots shall be taken care of. More and safer cycle parking By 2025, 200,000 new, safe and practical cycle stands shall be installed in the city: 100,000 outside public transport stations and 100,000 in residential and business districts. Giving cycling the green light Traffic signals shall be optimized so that people cycling at 20 kph would pass through at least 3 junctions on a green light. Fast cycleways for cycle commuters By 2025, 100km of fast cycleways shall be introduced along typical commuter routes, offering an appealing alternative to going by car. Enforcing safer and more conscientious transportation Every police headquarters shall have a Department for Cycle Traffic which will take action against those who commit acts endangering people cycling or walking, as well as cracking down on illegal parking, speed violations and dangerous driving. More representatives in council positions Sufficient roles shall be created in the senate and in regional government for planning and coordination of traffic improvements. The individuals filling these roles shall publish quarterly reports on the progress of these projects online. Prepare Berlin for an increase in cycling Each year, Berlin shall invest in PR to prepare the city and its people for a future with more cycling. There will be plenty of public reports on the progress of these projects, and their benefits will be promoted widely. Usually cycling strategies come in the form of action plans which fall into the category of ‘soft law’: they are flexible and easy to adjust as deem necessary, but all too often they lack implementation, very much to the frustration of advocates. As Berlin was no different, hence the change in strategy to create a bill. The English-speaking world has two precedencies; both England and Wales have a law in place regarding cycling delivery programs. By adopting this set of measures, the modal share of cycling is expected to rise from the current 13% to 20% by 2025, alongside a reduction of CO2 emissions per person per year of 0.3 tons, with further reductions expected in the long-term, making Berlin a role-model for cities throughout Europe and beyond. Although the approval of the bill that would make Berlin a more bicycle-friendly city still seems to be a long way ahead, the petition of the citizens of Berlin sends a good signal: such bottom-up initiatives have the potential to heat up the public discourse on cycling policy and to make the priorities of local and national politics shift from car-centered transport policies to the pressing issue of sustainable urban mobility.